Last December, a friend hosted a small gathering to celebrate my birthday. It was supposed to be a pizza and movies night, but in the end we were so deep in conversation that we didn't even turn on the television. My friend busted out the most beautiful fine china any of us had ever seen, brewed loose-leaf Earl Grey tea in a delicate teapot, and we sat around chatting. I remember sitting in the comfiest chair in the room--I was the birthday girl, after all!--where I could see everyone and hear everything. Cozy chair, blanket over my lap, tea cup in hand, and Billie Holiday playing from speakers in the corner. It was a perfect moment. This past summer, the friend who made this perfect moment possible passed away. I'd be lying if I said it has been easy to cope with. There have been a lot of naps. And for a long time, not a lot of tea. I drank plenty of tea between the perfect December day and the day in July when she passed. It didn't phase me. After she was gone, it seemed everything related to that perfect birthday moment would need to go with it. And later, when we were preparing the memorial, I learned that I wasn't alone in remembering that day so fondly. It was a night that resonated with all of us, and in my healing process I wanted to hold onto that. This fall, my friend would have celebrated her 40th birthday. Some of us had already secretly been planning a party to celebrate when she passed. I dreaded the day passing without that big celebration of her life, and I knew my friends would feel a lot of pain on her birthday as well. So I decided to do what I could to capture that perfect December day for all of us. I wanted to honour my friend while also helping us heal. To do that, I knew I would need more than just beautiful China. I would have to, somehow, embrace a feeling that she was the one making us our tea. 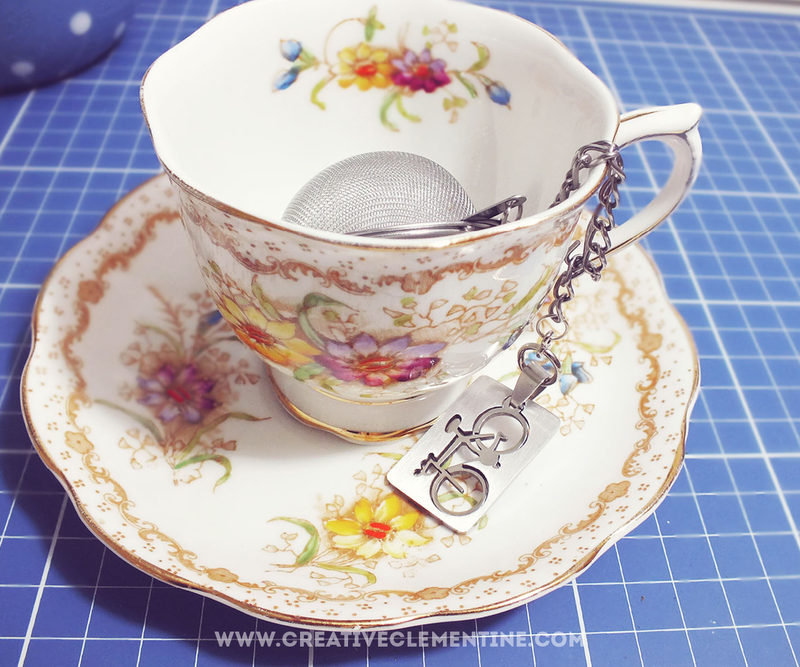 I decided to customize tea infusion balls with a custom charm representative of our friend, and include it as part of a tea-focused gift box. I picked up some Earl Grey tea samples and accessories from a local tea shop, and packaged everything up pretty. The result was a sweet gift, a reminder of happy times, and a surprisingly cathartic experience. Here's how I made the customized tea-balls. I started by removing the little hook that's supposed to sit on the side of the cup and moving it down three links. This left the end link for holding the charm (which conveniently weighs down the hook thing, which never works anyway). I used the pliers to detach and reattach this piece. Depending on how large your pendant is, you might be able to skip this step. I then hooked the jumpring into the pendant. Depending on the pendant you choose, this may be an unnecessary step. I then used the pliers to open the second jump ring and attach the pendant to the last link of chain on the tea infuser. I used the pliers to make sure everything was tight and wouldn't come apart or fall off during use. Because the pendant is stainless steel, there's no need to worry about this holding up when being washed. Stainless steel pendants may be hard to come by, but I found a few sources on Etsy. 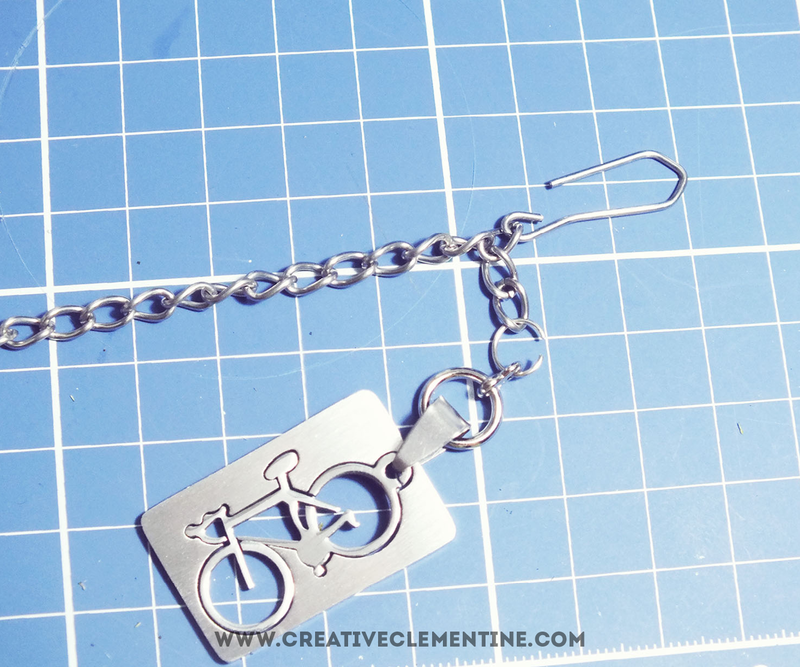 This unique bicycle pendant was from Anny May Craft Supplies and not expensive at all. 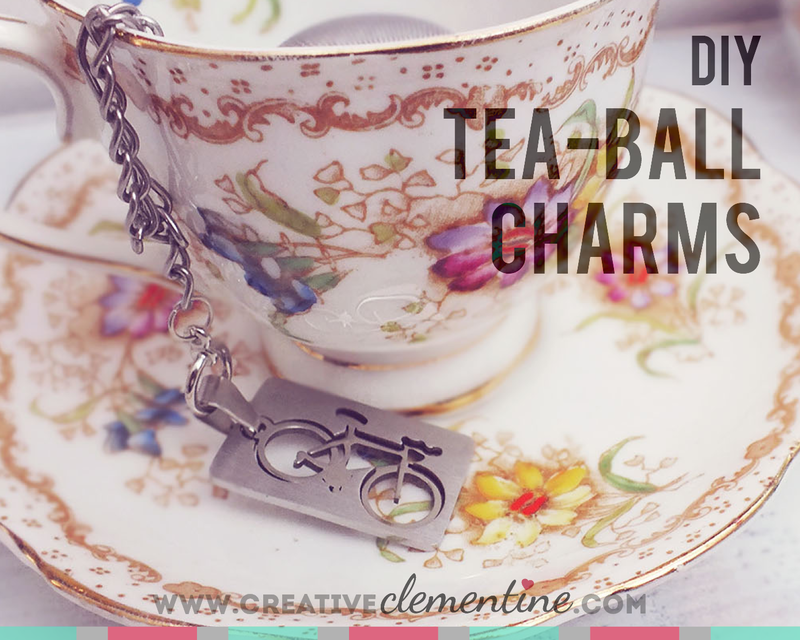 I made this tea-ball charm with a very specific purpose in mind, but it's a very easy and customizable DIY project. Pair it with a tea mug and loose leaf tea for a perfect, cozy gift for the tea lover in your life. 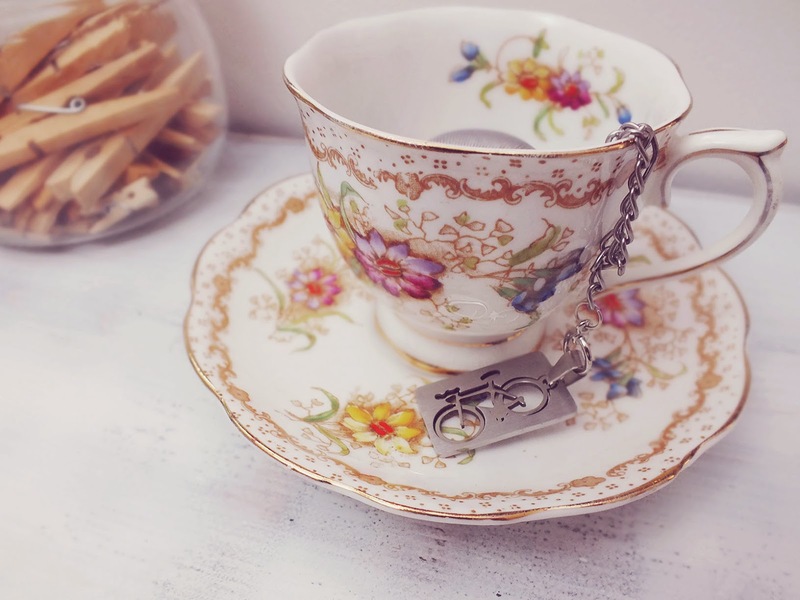 What a lovely tribute to your friend, and really cute tea accessory. My husband is a huge tea drinker and I think this would make a great gift for him. Thanks for sharing, stopping by from Wine'd Down Wednesday. Sorry for the late response! I hope you had a chance to make this--I've made a few for other tea-loving friends this holiday season. Happy New Year! Friday I'm in Love: Sea & Lake Paper Co.
2014 Goals Update #3 + Q&A in the comments!